At the heart of Gallaber farm is our herd of 50 pedigree Limousin cows, which was established in 1989. The herd is run on a very commercial basis alongside 500 mule and Swaledale ewes. We aim to breed naturally well muscled cattle with calm temperament. The intention of the herd is to breed cattle suitable for breeding, with the best 5 or 6 heifers being retained in the herd every year for replacements. The herd relies largely on the use of AI using some of the leading bulls in the breed, with around 20 of the top performing cows and most of the retained heifers being selected to be served with various different bulls. This allows us to keep the herd closed with all the females in the herd being bred at Gallaber. The herd is also a member of the SAC premium health scheme. 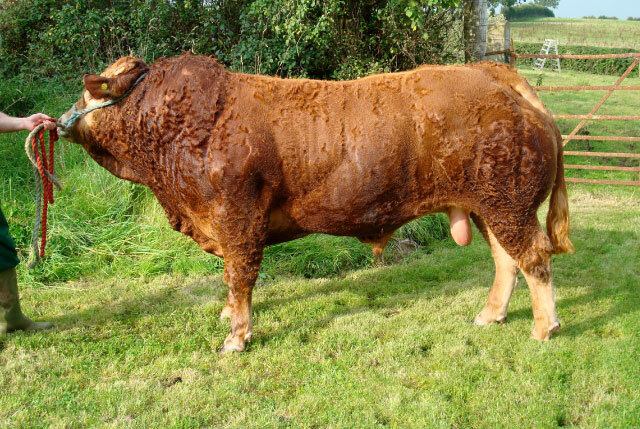 We have used various stock bulls in the herd over the years with Aldwyk Noah a Greensons Gigolo son, out of a Talent daughter, being the most recent and one of the most influential. Other influential bulls have included Haltcliffe Jupiter, Millbrow Fellsman, and home bred Gallaber Eruption who returned to the herd for one summer producing some very substantial females all of whom were retained in the herd with the exception of one – Gallaber Paula, the one who got away, selling to the Brims herd producing Brims Theo, top price at Perth Feb 2004 for £14,000 and Brims Vacant, Supreme champion Perth Feb 2006 selling for top price of £9,500. The most recent introduction to the herd is our new junior Stock bull Melbreak Chariot. Purchased from James and Alison Callion in Northern Ireland, Chariot is sired by the renowned Cloughhead Lord, and out of Ronick Gains daughter, Lyvenette Princess. He has been selected to join the herd due to his fantastic growth rate combined with exceptional muscling, backed up by his high figures. 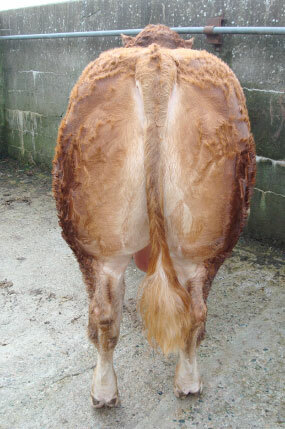 With a beef value of LM38 and muscle score of +6.1 placing him in the top 1% of the breed for muscle combined with an excellent 400day growth rate valued at +67. We usually have a good selection of bulls & heifers for sale and visitors are always welcome to view our stock.